The gizmo tools allow users to make modifications on reconstructed 3D markers, rigid bodies, or skeletons for both real-time and post-processing of tracking data. This page provides instructions on how to utilize the gizmo tools. To make changes to asset definitions using the gizmo tools (translate, rotate, and scale), the Edit Assets mode must be enabled. In this mode, not only you can make modifications to asset definitions, a target 3D coordinate can be set by selecting 3D marker(s) in the scene, which allows precise adjustment of position and orientation of the assets. Solved Data: In order for to modify rigid body definition from a recorded Take, corresponding Solved Data must be removed before making the edit. Using the gizmo tools, you can easily modify position and orientation of rigid body pivot points. First of all, mark sure the Edit Assets ( , Hotkey: T) is enabled under the perspective viewport to allow editing of rigid body asset definitions. Once enabled, you can utilize the gizmo tools and edit the rigid body asset definition. Select Tool ( , Hotkey: Q): Select tool for normal operations. Translate Tool ( , Hotkey: W): Translate tool for moving the rigid body pivot point. 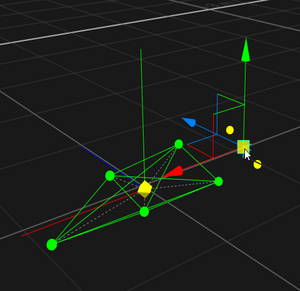 Rotate Tool ( , Hotkey: E): Rotate tool for reorienting the rigid body coordinate axis. 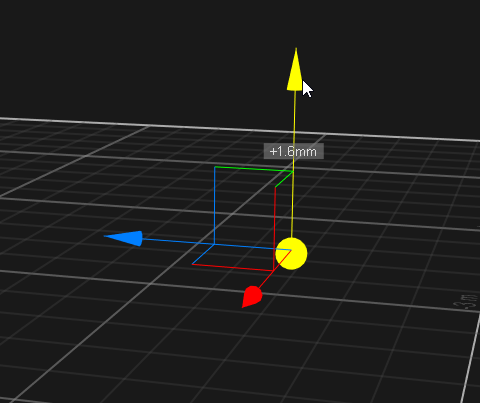 Scale Tool ( , Hotkey: R): Scale tool for resizing the rigid body pivot point. Precise Position/Orientation: When translating or rotating the rigid body, you can CTRL + select a 3D reconstruction from the scene to precisely position the pivot point, or align an coordinate axis, directly on, or towards, the selected marker. Multiple reconstructions can be also be selected and their geometrical center (midpoint) will be used as the target reference. Using the translation tool to place the pivot point at different locations. 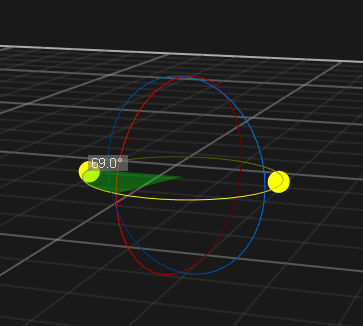 Using the rotation tool to rotate the rigid body coordinate axis. The orientation is set to true for monitoring the orientation. 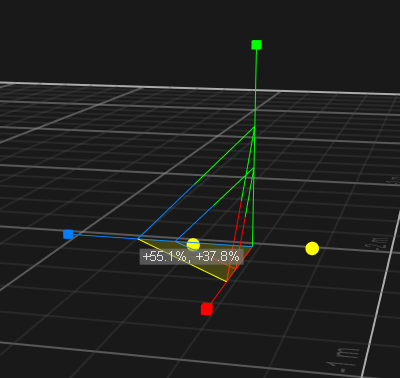 Using the rotation tool to scale the size of rigid body pivot point. Since skeletons are tracked using predefined markerset definitions, transformation features from the gizmo tools are not as necessary as for rigid body assets. However, you can still utilize the gizmo tools to modify bone lengths, joint orientations, or scale the spacing of the markers. If you wish to apply the changes symmetrically to both left and right side of a skeleton, enable the from the perspective viewport. 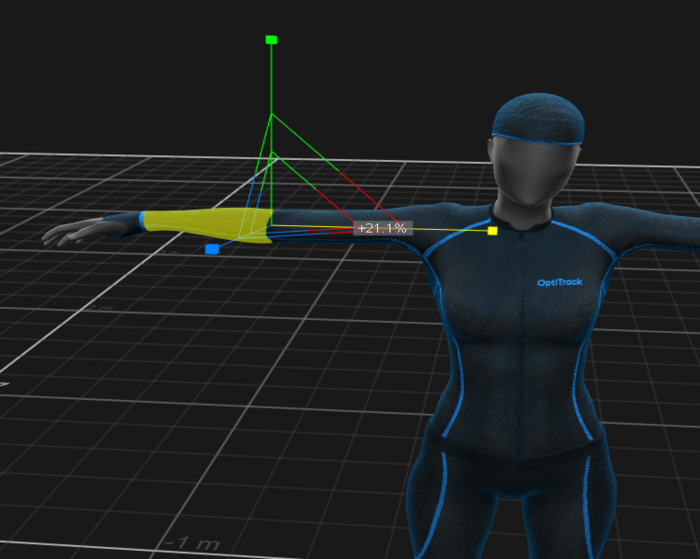 Translating and rotating the skeleton assets will change how skeleton bone is positioned and oriented with respect to the tracked markers, and thus, any changes in the skeleton definition will affect the realistic representation of the human movement. The scale tool modifies the size of selected skeleton segments. The gizmo tools can also be used to edit positions of reconstructed markers.In order to do this, you must be working reconstructed 3D data in post-processing. In live-tracking or 2D mode doing live-reconstruction, marker positions are reconstructed frame-by-frame and it cannot be modified. The Edit Assets must be disabled to do this (Hotkey: T). Using the rotate tool, 3D positions of a group of markers can be rotated at its center. Simply select a group of markers, turn on the rotate tool (Hotkey: E), and rotate them. Using the scale tool, 3D spacing of a group of makers can be scaled. Simply select a group of markers, turn on the scale tool (Hotkey: R) and scale their spacing. This page was last modified on 24 May 2018, at 17:37.